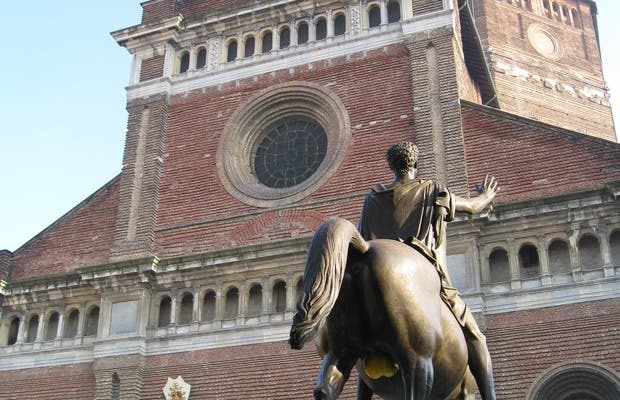 The cathedral is one of the most significant and important monuments in the city of Pavia. Ordered to be built by Bishop Ascanio Maria Sforza Visconti, work began in 1488 by the architect Cristoforo Rocchi. Leonardo da Vinci who visited Pavia during the early stages of the work also provided input on the project, specifically regarding the technique. Part of the shrine dates back to 1521 and was done by Gianpietrino Rizzi, a pupil of Leonardo. In the seventeenth century the share of the chancel had run out so the structure remained incomplete until 1898 when the facade and dome were finally completed according to the original design of Giovanni Antonio Amadeo.